Kicking back on the couch, trying to relax after an afternoon of herding cats, I decided to check out any updates on the blogs I follow. This was going along nicely, especially as I noted that one of those bloggers, Wade from Intrepid Daily, had received a Liebster nomination. It’s always nice to see good writing and content be rewarded. What’s this Liebster thing anyway? It’s an Internet based award, given by bloggers to other bloggers. It’s intended both as a way to recognise the work of bloggers you enjoy, and by publicizing links to their blogs help others discover those blogs too. The emphasis should be on newer bloggers. The nominees are also put on the spot, as the nominator can ask them any questions they find interesting, which helps us learn a little more about the blogger and extends the sense of community. The payback for this grilling is the nominee can then nominate other blogs they think are deserving, and Wade has selected me for this honor. 🙂 Made my whole day. Wade has an unusual blog. Its genesis goes back a few years, when, being unhappy with the way his life was going, he decided to come up with 10 rules to live by to help change his attitude and how he approaches life. These rules have evolved over the years, and now there are more than 10. The good news is that via his blog, he now shares these guidelines with us. Check it out! Thank the person in your post who nominated you for a Liebster Award and link back to them. I’ve seen anything from 3 to 11 nominees recommended. Some variations suggest the nominees should have less than 200 followers, as the intent is really to showcase newer blogs. How do you know how many followers they have? The best way I’ve found is to use the Manage Followers page in the Reader. (You are following these people you like, right?) Then, click on the title for the blog you’re interested in (not the web address), and you’ll be taken to a reader page for that blogger with a list of their posts and how many followers they have noted at the top. Give your nominees a list of questions you’d like them to answer. Include the award guidelines in your post. 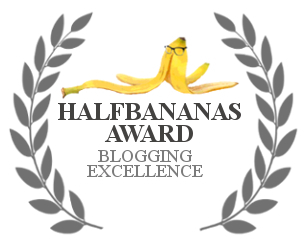 Include a copy of the award logo in your blog. Recipients have the option of declining the nomination. So, without further ado, here are the questions from Wade. He doesn’t ask the easy ones, especially as I consider myself an introvert and there’s some deep thoughts to reveal. Oh well, gotta be intrepid here. This question is worth a whole blog post in its own right. In our normal routine, we don’t think much beyond our home, our job, maybe our local region, and the people and things we deal with directly. But it’s a big planet. There are other continents and countries to see, and other cultures to experience. There’s a whole new planet to see just by looking in the oceans. Doesn’t that sound at least a little interesting? When was the last time you considered the small stuff? The intricacies of a flower, or the scales that make up the color of a butterfly’s wings? The chemistry under the covers that made that last dessert taste so incredible? The idea that everything, soup to nuts, is made of atoms of different types in seemingly infinite combinations – but yet somehow you can get both an inert rock or a rush of emotions out of them? Let’s go the other way. Our planet is just one in our solar system. Our solar system is just one of millions in our galaxy. And there are millions of galaxies. The size and scope of the universe is mind boggling. And according to physicists, if you consider the unknown dark energy and dark matter their equations suggest, the known matter we see and understand in our slice of time only constitutes about 4% of what’s really out there. That makes my head hurt, but it’s still inspiring to think of what we can still learn.Many who contemplate that vastness find it intimidating – it makes them feel small and insignificant.Within our normal scale of perception that may be true, but consider the universe from the perspective of a hydrogen atom. Mama proton and Daddy neutron hanging out together, with that one electron kid whizzing around. Maybe they’re buddies with another hydrogen atom and one of oxygen, and in their neighborhood there’s lots of other similar H2O gangs running around. Do they know or care that in the big picture, they’re just a tiny part of the tear that rolled down the cheek of that poor enormous soul who thinks she’s insignificant, but really isn’t? Everything has a story. It may be boring, but it’s there. If we sharpen our wits, look a little deeper, and maybe get a little help from our friends or faith there should be inspiration aplenty. What’s one piece of gear, clothing, or equipment you’d recommend to everyone? I have to admit, I’m not a gearhead. I tend to look at gear as a means to an end, and I’m more interested in the end. Still, if I need a piece of gear, I’ll do my research and try to find something of good quality and value. As everyone has different interests, what that gear different folks need would vary. However, if you’ll permit me to spin your question a bit, there is one tool I wish everyone had and used: an open mind. Consider a world where people accepted the notion that even if an idea or approach is not right for them, it may still be legitimate and acceptable for someone else. That sometimes, even if you disagree with something, it may still serve the greater good to let it be. All too often a closed mind is accompanied with a closed fist, be it literal or figurative, and that closed off perspective is tied to some tribal group (political, religious, teams, schools, gangs, etc). I have no problem with group values, but were those groups to allow an open minded perspective to other groups the world would be a much more peaceful place. I don’t know that travel by itself is fatal to narrow-mindedness, but it’s a lot easier to feel like a citizen of the world rather than just one country if you’ve seen more of it. A friendly visit to someone else’s point of view can be just as useful. Who are some of your role models and heroes, and why do you admire them? Well, naturally as a child my role models were my parents, and even if I’ve evolved beyond the lessons they taught there’s still a core set of values that persist that have served me well. Their lives were not easy, but yet they got through it without compromising their integrity. I’m not big on hero worship. Oft times someone is granted hero status for something they said or did once, but if you look closer you’d find that like all humans, they have feet of clay. I think it’s better to look to the admirable things people do rather than a person as a whole; that opens the door for finding a little bit of hero in just about anybody. Not too mention it takes the pressure off of me to be heroic. If everybody just does their best, that should be enough. What upcoming events, journeys, or adventures do you have planned? Can I say “I don’t know?” Nothing major on the calendar at this point. Trying to figure out this blog stuff is a bit of an adventure; after a life of writing computer programs, functional and design specs, user manuals, and even a book on using Business Intelligence tools, creative nonfiction is a new challenge. And because that background demanded rigor I’d be letting myself down if I didn’t try to learn to do this well. It’s a work in progress. I am due for a warm water dive trip somewhere, but that’s still in the fuzzy phase. What are you looking forward to when winter closes in? Used to be, I’d be looking forward to ski season. But as the years have rolled by it’s gotten harder to get in skiing shape and the energy levels aren’t what they used to be. Maybe I’ll still give it a shot, if someone applies a leathery, boot shaped chunk of inspiration to my backside. I do have a backlog of Udemy courses to get through. I’m currently working on one called The Inexplicable Universe, with Neil deGrasse Tyson. Hence, all the references to the universe and physics; it’s one of the peas rolling around in my brain at the moment. It’s also homebrew season. Those little yeast beasties are creatures of habit; they like consistent temperatures within a certain range to best do their fermentation tasks, not unlike the livers of those who drink their products. Those conditions are more easily achieved in temp controlled furnace season rather than those nice hot summer days. Lastly, I always enjoy snorting in derision at those who are saying “it’s coooold out” when it’s 25°F, remembering back to my youth in Minnesota where it sometimes hit -25°F. There’s a reason I left that great state. Of course, I have to keep it to myself that the antifreeze in my blood has long since evaporated, and I think 25°F feels dang cold now too. What are a few of your favorite experiences? Wow. Seriously? You couldn’t have asked me that 50 years ago? While I’ve done my share of slogging, I’ve also been pretty fortunate by most people’s standards and have had a lot of good experiences – too many for only a few favorites. But just to throw out three: standing atop a Swiss Alp on a sunny day, taking in an amazing view; laying on my back 50 feet deep in clear ocean water, looking up at the bright rays of sunlight piercing through a kelp forest; standing by a gazebo in a perfectly manicured garden, watching my bride parade up in her wedding dress. I might as well die now, I’ve already been to heaven. If time and money were no problem, where would you go and what would you do? What is the most memorable bit of advice you’ve ever received? I don’t know that I could pick just one. I have a quote collection I’ve been amassing over the years, it has over 4000 quotes in it. But since you’re looking to be intrepid, maybe this thought will ring true: man moves towards, and becomes like that which he thinks about. I suppose the last straw was our recent trip to Europe. We’ve done a bit of traveling, and I’ve often thought it would be nice to do a journal to help keep some of the memories for future years. But I wanted to do it right, and since it’s been 40+ years since I had any training in writing, I took a journaling class. It was a good class, but it was “dear diary” level and I wanted to be able to write a better story. So, I took a travel writing class that was oriented towards folks who wanted to blog or write professionally. That’s what triggered the thought that a blog might be feasible. It would handle the requirement for keeping those memories, provide a platform for sharing them with friends and family, and give me a new creative challenge that might help replace the one I lost when leaving the workforce. I’d have to say writing that BI book gave me a bit more confidence too. That one was totally out of the blue; one day the boss walks in, says “I want to have a presence in the Business Intelligence world, we need a book to train people with. You’re just sitting around waiting for a contract…” I didn’t know anything about BI, so over the course of a few months I taught myself via internet resources, and much to my bemusement found myself writing a book and eventually teaching classes. I discovered I actually kind of enjoyed writing, and the fellow who edited it suggested I had a knack for it. Imagine what I could have done if I actually knew what I was doing. Postcards from Polebridge: Monica used to be an academic manuscript editor, but has given that excitement a rest and has moved onto creative nonfiction. I actually first encountered her in that travel writing class, but I don’t know that she needed it – I want to write like her when I grow up. My Writings: Mick’s one of those creative types who always knew they wanted to write. I haven’t been following him for long, but it looks like he does both fiction and nonfiction, with a lot of the nonfiction being tales of an expat in India. Lies Jack Kerouac Told Me: To borrow from Curt’s About page: It’s all about telling a good story. If you’re looking to categorize me, I would gladly accept the title of “humorist.” I’ll be posting stories that talk “largely about small matters, and smally about great affairs,” to steal from James Thurber. little ittys: little itty writes short, facetious, humorous commentaries on things we encounter in life. Delicious stuff. The Emptea Cupfull: ayoungblood gives us thoughtful musings about being an expat living in China, teaching at a university. Packed It In: I think Matt and Katie only told their family they had a blog, and have been too busy to do any networking. Little did they know I’d stumble in from the internet wastelands and spring this little blog builder on them 😉 They’re currently traveling through southeast Asia and have some charming stories and tips. The Earl Of Southampton’s Cat: toutparmoi gets a pass on having to respond to this nomination as his/her blog is not structured in a way that’s conducive to including one of these Liebster posts. But I thought I’d send folks that way anyhow as it’s an entertaining read. Which is saying a lot; when was the last time you were enticed by late 16th century English history? It turns out, all you need do is transcribe historic letters written from the perspective of an English housecat. As it’s written serially, I’d recommend starting from the beginning. Please swing by these fine blogs, I think you’ll be glad you did. And if you’d like to do some informal nominating of your favorite blogs, please feel free to do so in the comments section. Which are your 5 favorite blog posts? What’s been the most rewarding part of becoming a blogger? What is a favorite book or genre? Name one place or person you’d like to visit. What talent do you wish you had more of? What’s the coolest thing you’ve done on a vacation? Apologies to all those other fine bloggers I follow that I’m not picking on here, I had to stop somewhere. They say imitation is the sincerest form of flattery. I’m not sure I buy that; pure imitation is a lazy man’s way out, the least you should do if you start with someone’s idea is put your own spin on it. Most inventions work that way. But even that form of flattery does not hold up to being recognized for what you’ve created from whole cloth, and this is where Wade has paid me a high compliment by nominating me for this award. Thanks Wade. You made my day. One parting thought. The Liebster is generally presented as a nomination for the award. Who actually wins? I think the answer is clear – everybody does. A great post, Dave, and many thanks for the Honorable Mention. And yes, you’re right: Liebster posts wouldn’t work on my blog. You’re also right about the him/her of toutparmoi. The cat whose writings I’m transcribing is a male, but his humble editor is female. I’ll definitely check out all the other blogs here – other than Mick’s, which I already follow. 🙂 Cheers, Denise. You’re quite welcome Denise, you deserve it. I may have discovered Mick via your blog, if he follows/likes it. I’ve discovered a few bloggers by following up on the folks who like the same posts I do. I think I found you on Blogging 201. I’m picky about who I follow; I would have like to have nominated a few more, but I had to draw the line somewhere. If I followed all the blogs I like, I’d never get out of my Reader. But I do enjoy scouting around the blogosphere when time permits. There’s so much talent out there, in so many different fields. Dave, I have thoroughly enjoyed reading your post! You took those questions and used them to get at some deep and thoughtful perspectives, while still having lots of fun with it. It’s a perfect example of one of the many reasons I love your blog. Thanks for the great shout-out, and I’m looking forward to reading some of the work from your nominees. Can’t wait for your next post! Glad you enjoyed it Wade. Maybe we should all get a Liebster at some point, just to see what happens when we get asked these sort of questions in a public forum. It’s definitely a trip outside the comfort zone, but I think that may be called “growth”.